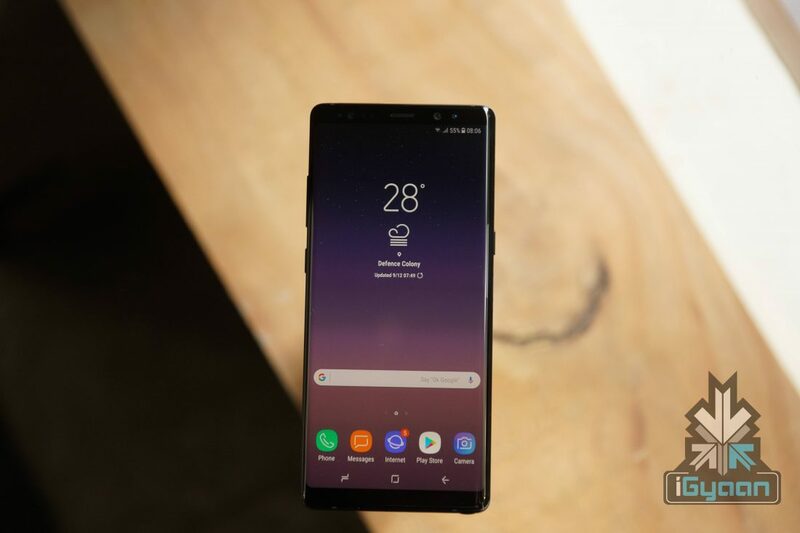 The Samsung Galaxy Note8 has been launched in India at a price of Rs 67900 for the 6GB of RAM and 64GB onboard storage variant, the price is not a lot more than that of the S8+ 128GB variant. 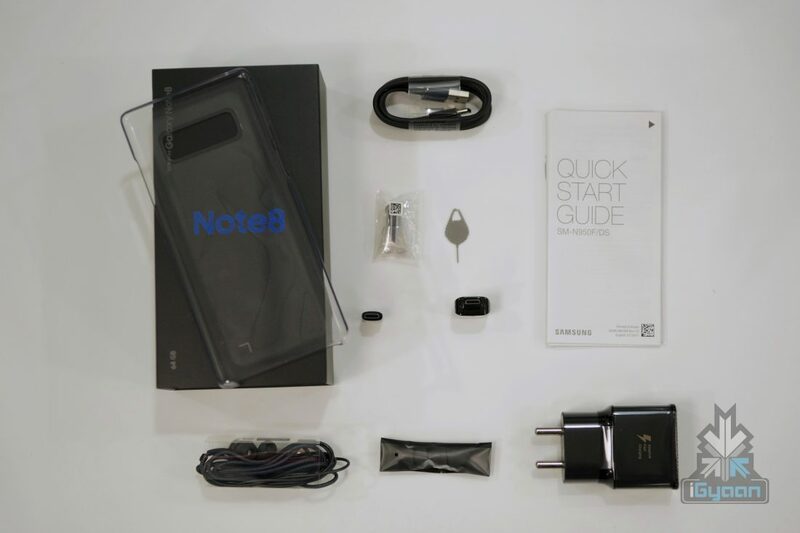 The Note8 which was announced recently for the global market, has made its way to India rather soon. 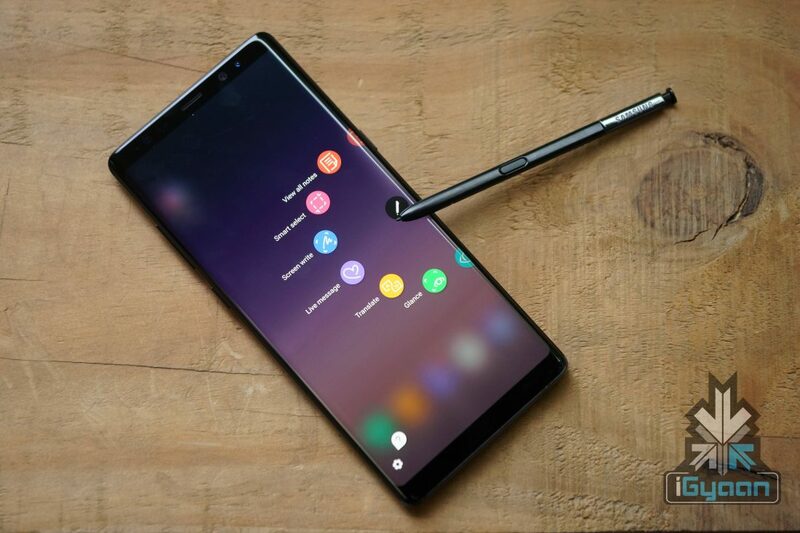 The signature flagship S Pen equipped Note8 replaces the Note7 which never made its way to India officially. We have the Midnight Black colour variant and the phone has been lauched in Maple Gold colour as well. 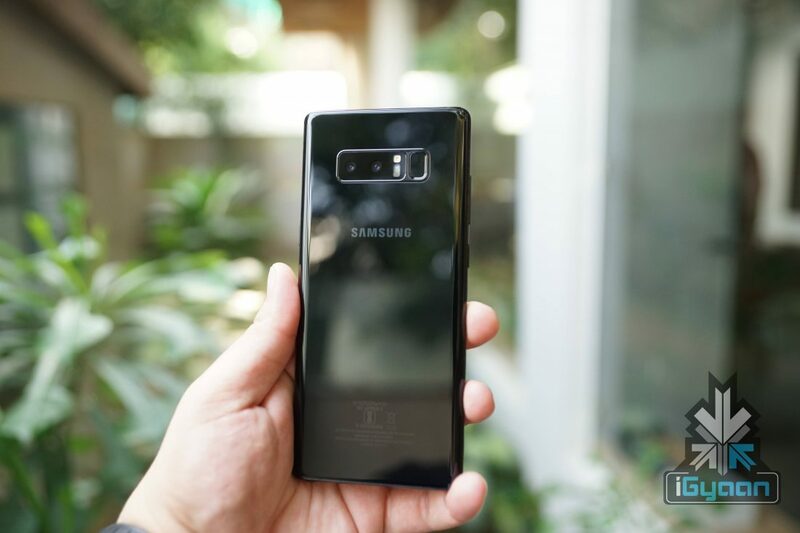 The Samsung Galaxy Note8 is the first Note device to launch in India after the Galaxy Note5, but, the design of the Note8 is more reminiscent of the Galaxy S8 and S8+. 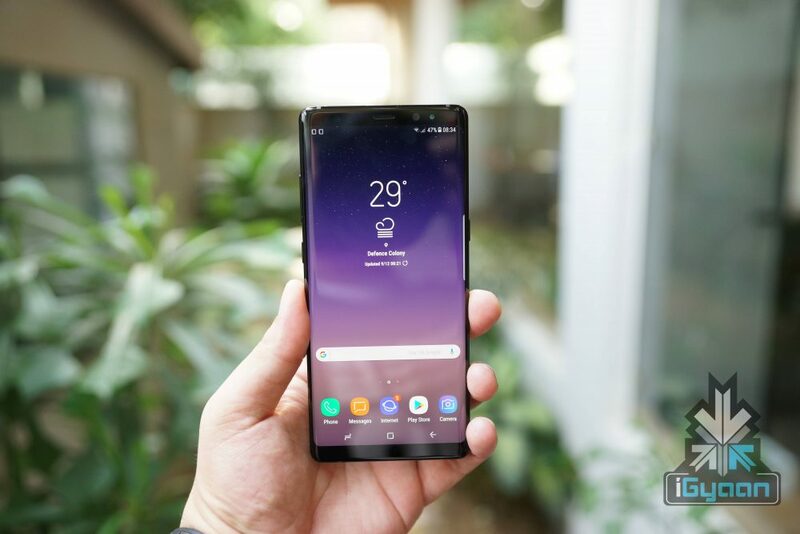 The device retains most of the design elements of the Galaxy S8 and S8+ with Corning Gorilla Glass 5 on the front and back and a metal frame around the edges. On the front is also a 6.3 inch 2960 x 1440 px Super AMOLED infinity display with minimal bezels on the top and bottom of the phone. The aspect ratio of the phone is 18.5:9, which is the same as the Galaxy S8 and S8+. The fingerprint sensor as well is still placed at the back of the phone right next to the dual-cameras. The edges of the device are more squared off, which is a signature design aspect of the Note series. Powering the device is a 3300 mAh battery which is smaller than the 3500 mAh battery found on the Galaxy Note7 with wireless charging capabilities, and runs Android Nougat 7.1.1 with Samsung’s custom skin on top. The device has the Exynos 8895 chipset, 2.3GHz Quad-Core (Custom CPU) + 1.7GHz Quad-Core (Cortex-A53) processor, 6GB of RAM and 128GB onboard storage, which is expandable up to 256GB via microSD card. The graphics are handled by the Mali-G71 MP20 GPU. The Galaxy Note8 and the S Pen are both IP68 certified water and dust resistant. The new Note8 has a 12MP dual-camera setup, one of which has a wide lens and the other a telephoto. The telephoto lens allows a user to zoom in losslessly for an up to 2x magnification. The use of dual camera allows for the ability to blur out the background for professional looking bokeh effect shots, something that seems to be common in smartphones in 2017. This is much like effects seen on past dual camera phones like the iPhone 7 Plus to the OnePlus 5 and the Xiaomi Mi A1. The Samsung Galaxy Note8 also records 4K videos at 30 FPS along with high-speed video at a lower resolution. The front camera has an 8MP sensor with an f/1.7 aperture and also records 4K UHD videos at 30 FPS. The new S Pen has a list of new features that make the Note8 exciting, especially for previous Note device owners. The new live message allows you to scribble a message and then save the animation as a Gif file. This can then be shared with anyone using any app that supports Gif files and is not restricted to Samsung devices. The Pen glance feature and snap window are some other interesting things that we have detailed in our unboxing video below. For more details on the launch offers, Click Here.